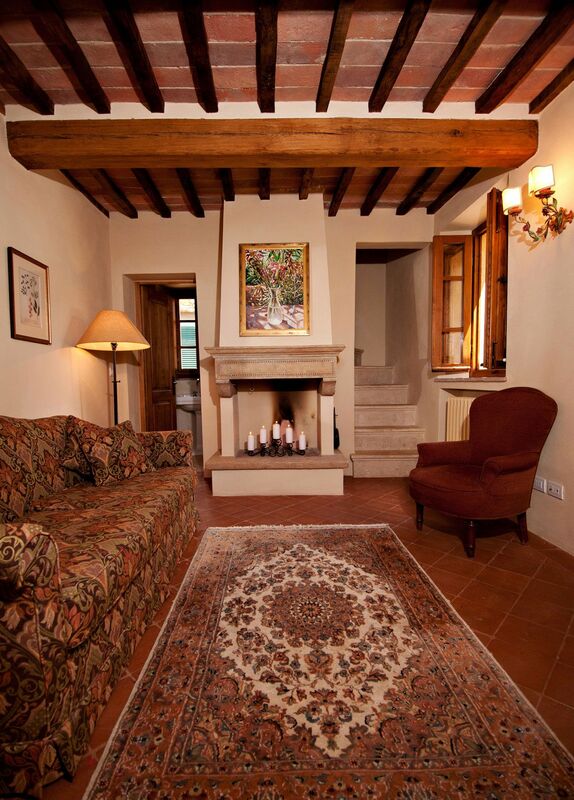 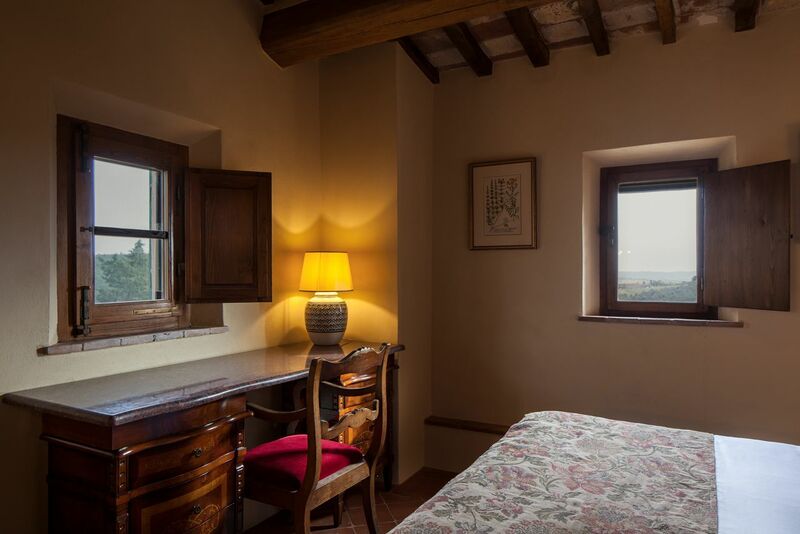 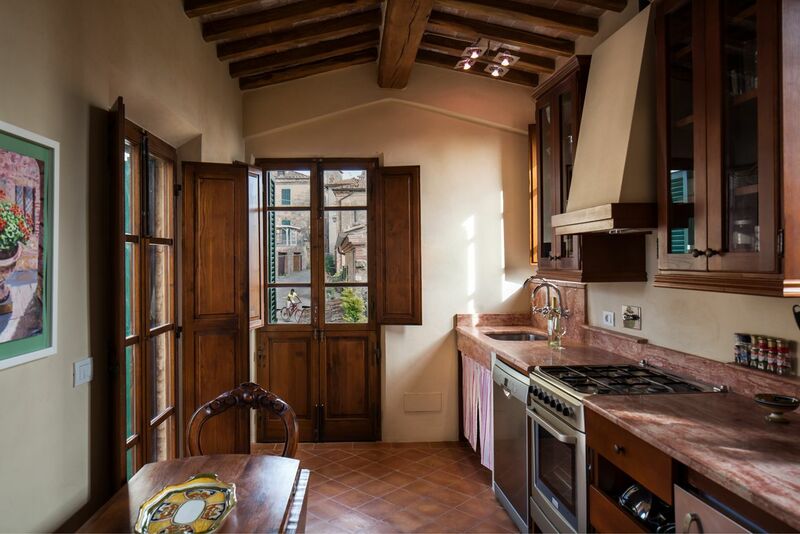 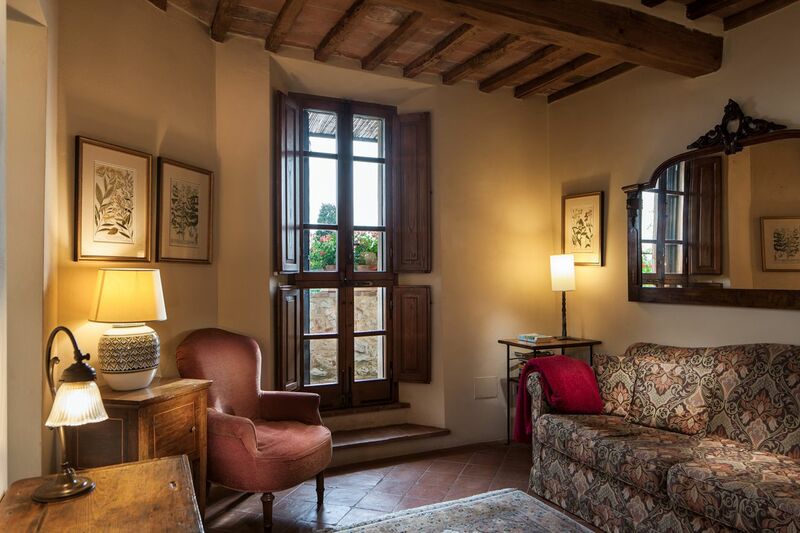 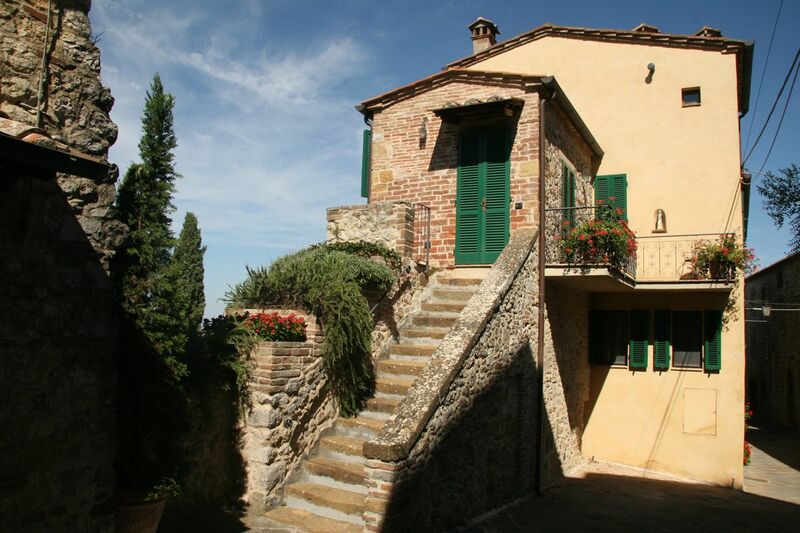 Enter La Casa di Città, a fully appointed private suite, from the upper terrace of the main house into the sitting room with fireplace and ½ bath. 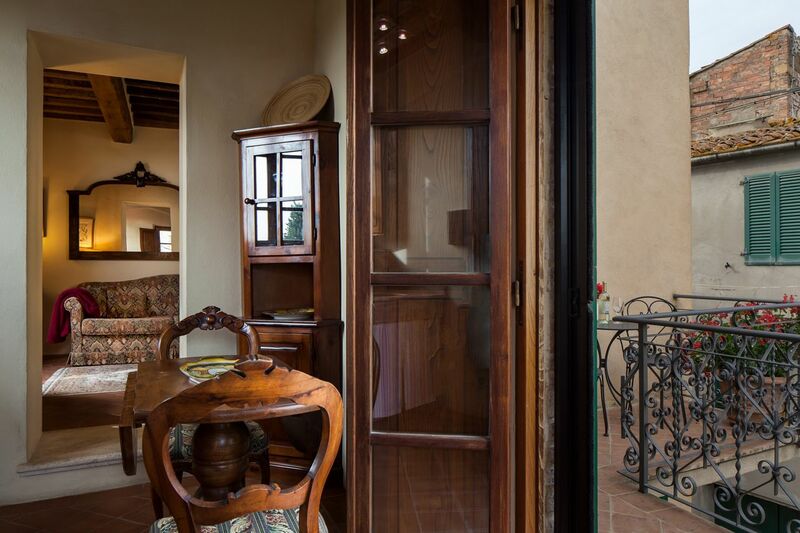 Or, enter from the village lane up a private stone stairway to the kitchen and dining area, which has French doors that open onto the village-side balcony with its café chairs and table. 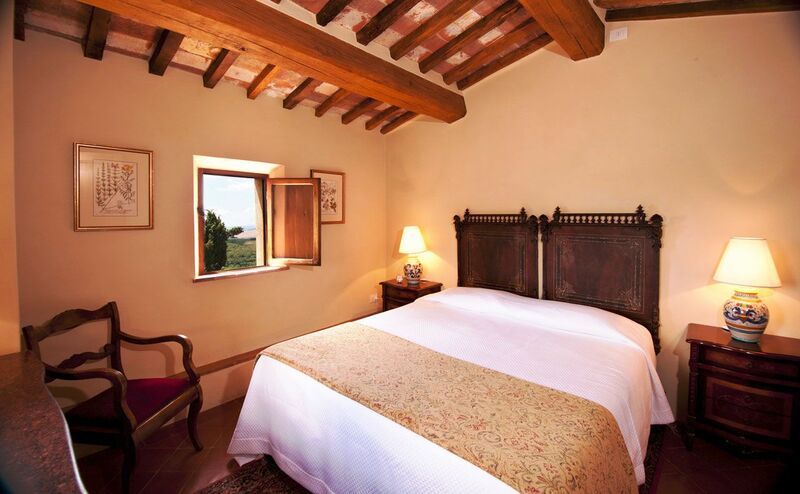 The quiet tower bedroom with ¾ bath is reached from the sitting room up a winding travertine stairway. 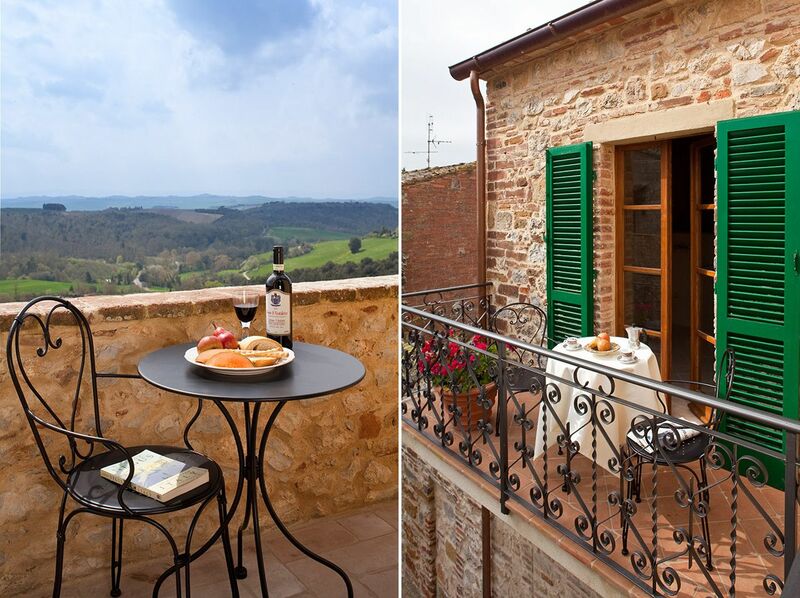 Windows capture vistas of the village and the countryside.